Héroux-Devtek Inc. of Longueuil, Québec, has been awarded a contract by The Boeing Company to supply the complete landing gear system for the MQ-25 unmanned aerial refueling program. 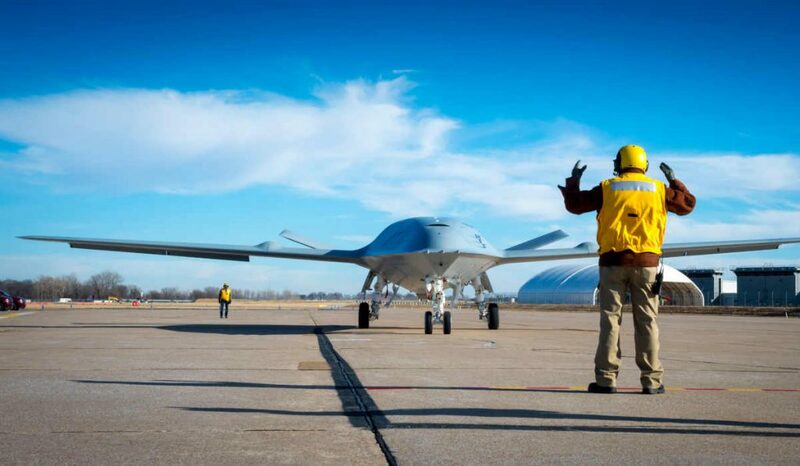 Back in September 2018, Boeing was announced as the winner of a $1.1 billion (US$805 million) contract to build the U.S. Navy’s first operational carrier-based unmanned aircraft, the MQ-25 Stingray refueler. Boeing was awarded the engineering and manufacturing development contract to provide four aircraft. It plans to perform the MQ-25 work in St. Louis. The Navy expects the first airframes to begin flying by 2021 and the first four Stingrays should reach operational capability on carrier decks in 2024, according to a report on the U.S. Naval Institute’s online portal Usni.org. After this contract is complete, covering the four Stingray airframes for testing, Usni.org reports the Navy plans to buy 72 more vehicles with a total program cost of about $17 billion (US$13 billion). “This new contract award represents our fourth complete aircraft landing gear program collaboration with the world’s largest aerospace company and could represent a significant new long-term opportunity for Héroux-Devtek,” said Gilles Labbé, President & CEO, Héroux-Devtek. The MQ-25 Stingray is designed to provide the U.S. Navy with what Boeing describes as a much-needed refueling capability. It will allow for better use of combat strike fighters, according to the Navy, by extending the range of deployed Boeing F/A-18 Super Hornet, Boeing EA-18G Growler, and Lockheed Martin F-35C aircraft. The MQ-25 will also integrate with a carrier’s catapult and launch and recovery systems. Héroux-Devtek is a supplier of landing gear, spare parts and aftermarket services to Boeing for a range of other defense and commercial programs. This contract award, according to the company, will also have a positive impact on Héroux-Devtek’s Canadian supply chain.